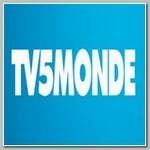 French broadcaster TV5Monde, on late Wednesday 04/08/2015, was shut down for several hours after hackers claiming to be from the the Islamic state – I.S.I.S took over its channels and social media accounts. The hackers cut transmission of the broadcaster’s 11 channels late on Wednesday for several hours and posted messages on its website, Yves Bigot, TV5Monde’s director, said. The alleged I.S.I.S hackers accused the French president, François Hollande, of having committed “an unforgivable mistake” by getting involved in “a war that serves no purpose”. France is part of a US-led coalition carrying out air strikes against the Islamic state in Iraq and Syria. “That’s why the French received the gifts of Charlie Hebdo and Hyper Cacher in January,” the hackers said on the broadcaster’s Facebook page. Mr Bigot told RTL radio Thursday 04/09/2015 morning that the network had regained control of its channels but was still only able to broadcast recorded programmes. Meanwhile, the network’s website was still down for maintenance on Thursday morning after the hackers had earlier posted “I am IS [Isis]” on it together with a banner by a group calling itself ‘Cybercaliphate’. AFP reported that the hackers also posted documents on TV5 Monde’s Facebook page purporting to be the identity cards and CVs of relatives of French soldiers involved in anti-ISIS operations, along with threats against the troops. Manuel Valls, the prime minister, condemned the cyber attack. On his Twitter account, he called it “an unacceptable attack on the freedom of information and expression”, and offered “total support” to the editorial staff. More than 1,500 French nationals have left France to join the militants’ ranks in Iraq and Syria, abouthalf the number of European;s contingent, according to a report released on Wednesday by the French Senate. TV5- Monde described the attack as “unprecedented”. According to some commentators ISIS has revealed an ability to combine a medieval, even pre-medieval, mindset with 21st century technology. It has also shown itself cannily able to manipulate and exploit western media thinking. The ability to blackout a global television network appeared without precedent. The Paris prosecutor’s office said Thursday it has opened an investigation into the attack.